The Big Dutchman PROFIT-tier Plus Layer Cage System is a re-designed system to incorporate some of the features of our UNIVENT line, while maintaining the integrity of our PROFIT-tier line. With the PROFIT-tier Plus you’ll enjoy the added benefits of a steppable feeding trough, sliding front doors for easy access and space between tiers for better air flow in open sided houses. The PROFIT-tier Plus Layer Cage System incorporates Big Dutchman’s proven truss-rod suspension and extremely stable, durable A-frame construction. 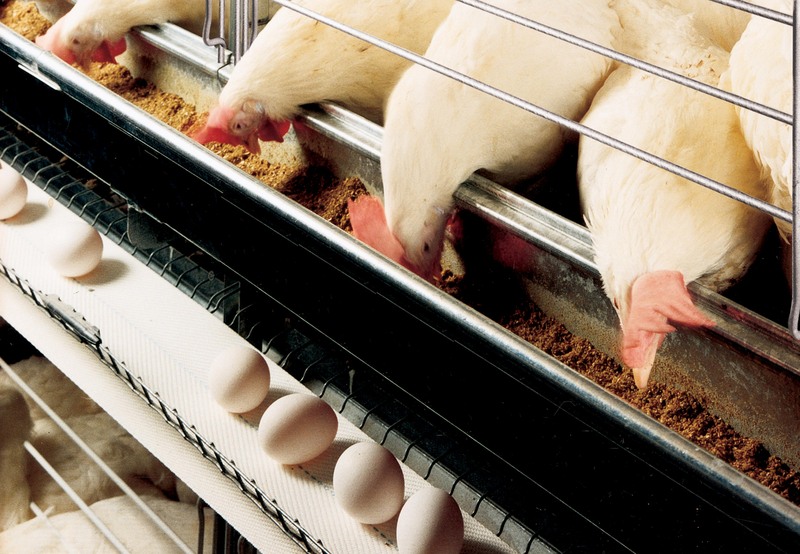 PROFIT-tier’s unique suspension maintains alignment for exceptional strength and stability, increasing the life of the cage, feeding, and egg collection systems. 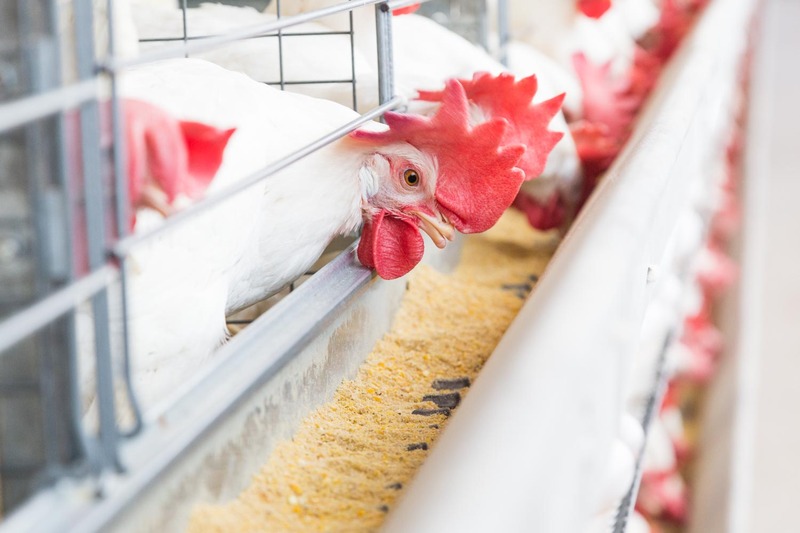 Cages are attached to the feed trough at the leg stands for increased stability, and with an innovative foot design and screwed-together leg stands maximizing strength and durability. And with the PROFIT-tier being made with Galfan your cages will last longer, and work more efficiently. 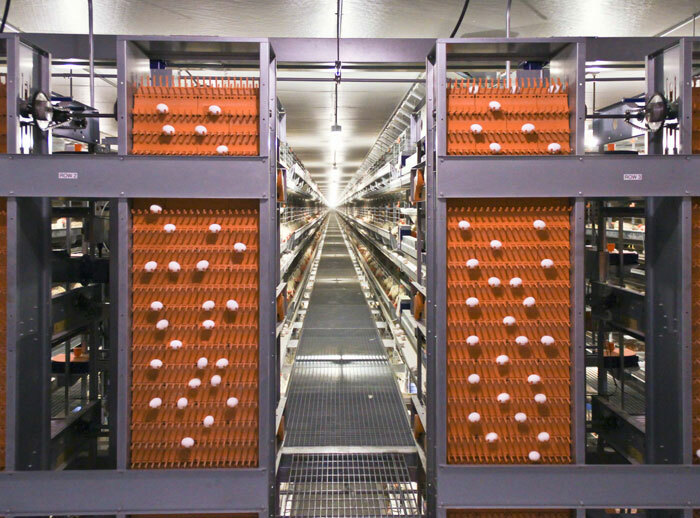 Flexibility in cage design: A wide range of cage profiles makes the Profit-Tier system a flexible solution for either remodeled or new installations. Durable construction: A wrap-around single-piece top, front, and back offer superior strength and easier installation than cages with separate pieces. 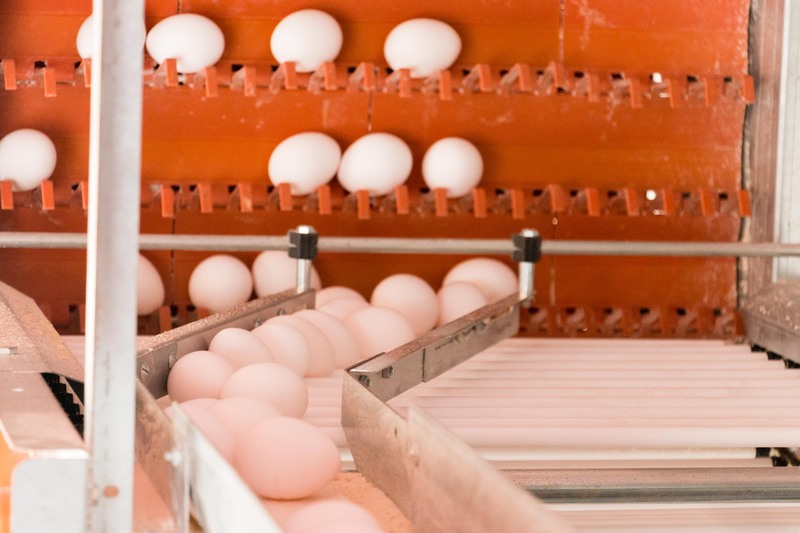 The unique cage design controls egg roll-out, significantly reducing cracks and checks. Feet and lower legs are also available in stainless steel for increased corrosion protection. Cart guides are available with a variety of mounting options. 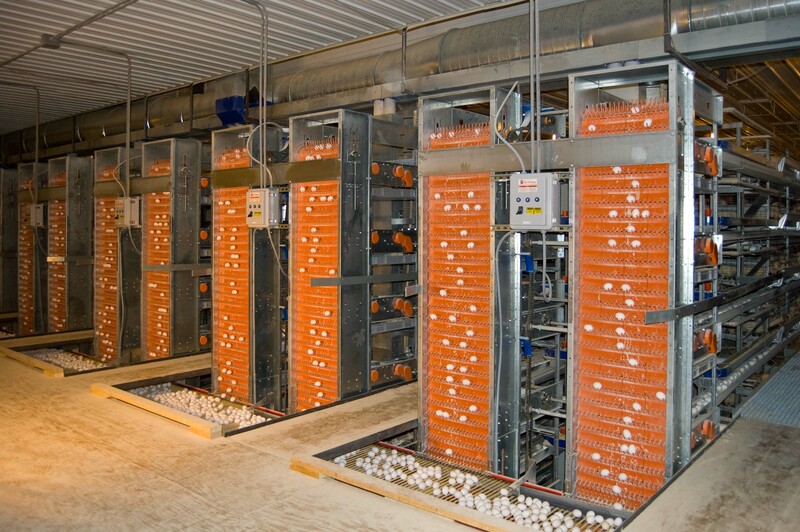 Safe and efficient egg handling is done with our EggCellent egg collector which has an innovative design to provide high volume egg collection with less adjustments, and maintenance, while still providing protection for the eggs. 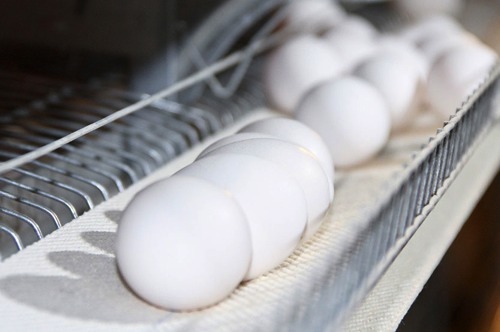 The EggCellent’s special egg conveying chain is made of interlocked plastic module parts, which will not stretch and requires no lubrication. These chain modules feature integrated soft padding for impact protection and gentle egg transport. The optional feed cart runs at 18 ft. per minute with feed being dosed as the cart travels in one direction. Each tier has its own feed level adjustment.